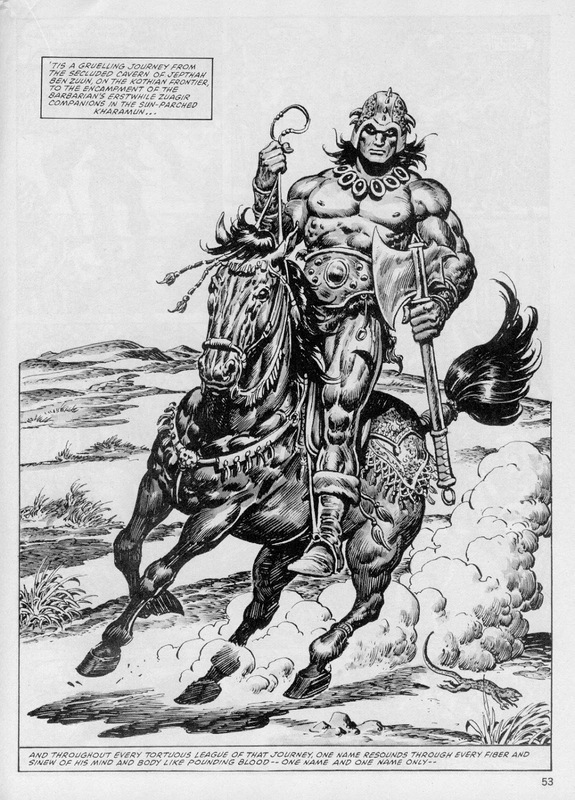 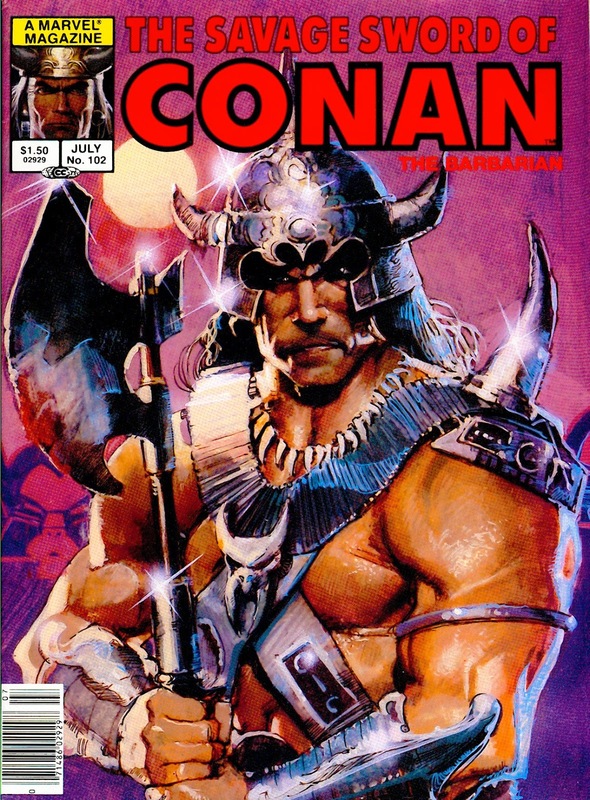 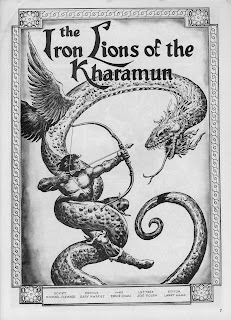 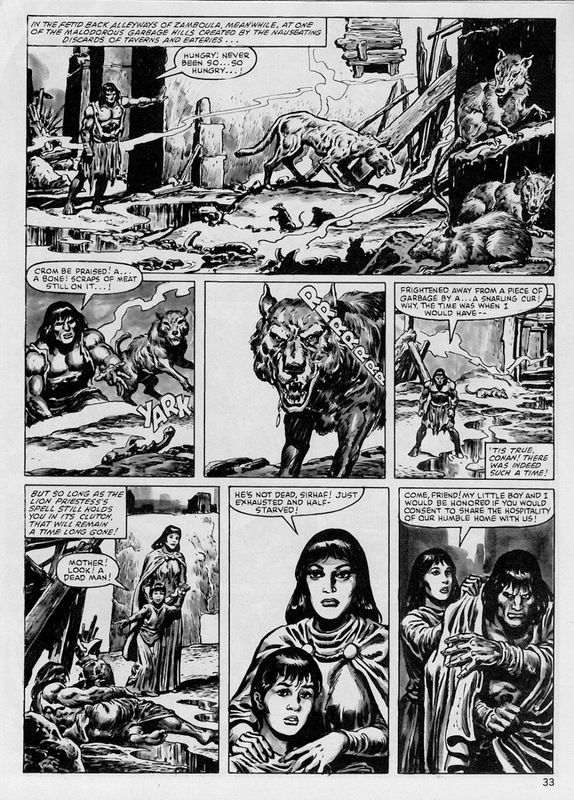 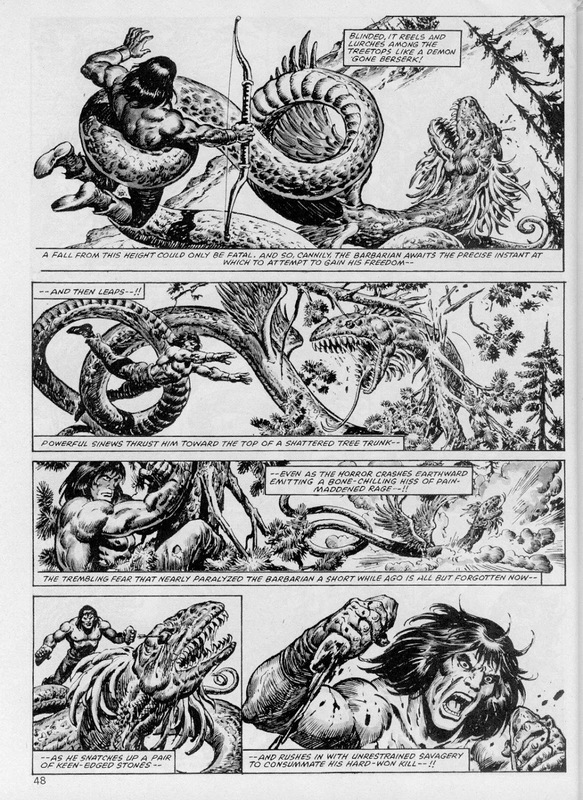 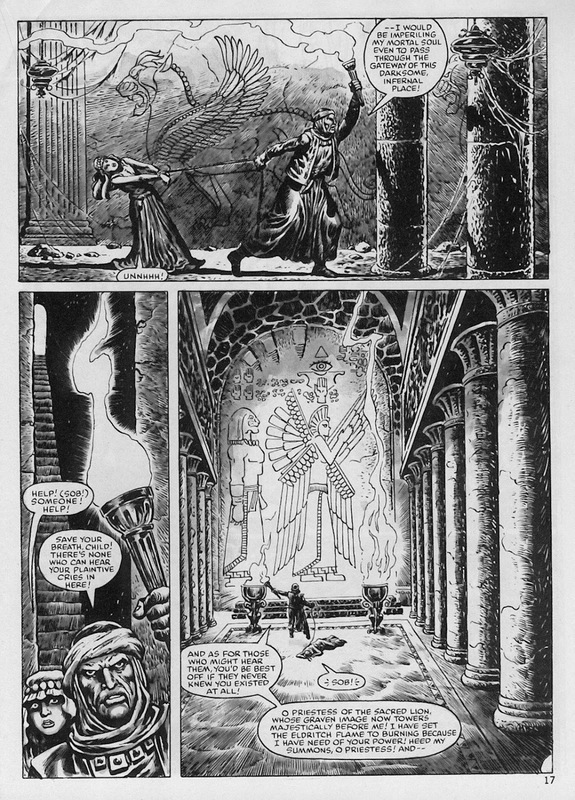 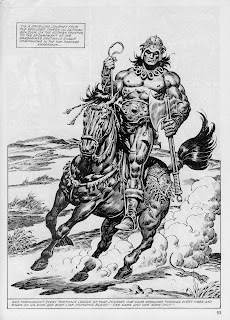 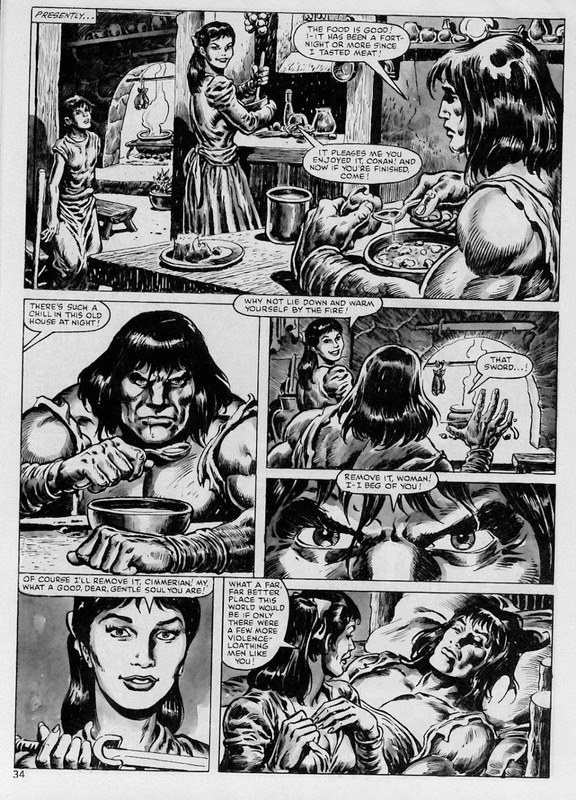 Y'know, as big a fan of Conan as I am, even I can get occasionally tired of an endless round of wizard / monster / maiden type stories. Which is why it was always nice when somebody tweaked the formula a little bit, like here where Micheal Fleisher turns the brawling barbarian into a cringing, cowardly wimp. 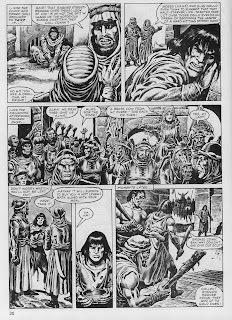 Purists may be aghast, but I really like this one, not least because for maybe the first time ever, you feel sympathy and even pity for the Cimmerian. 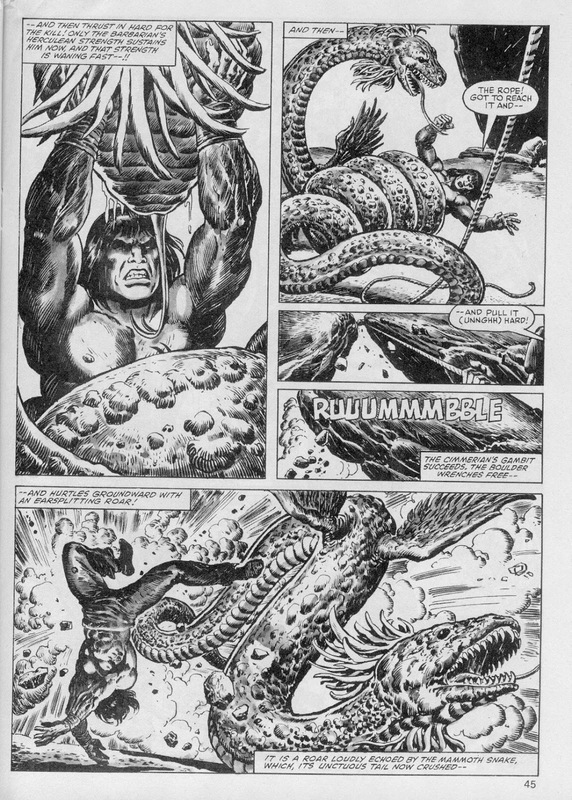 Even the obligatory monster fight doesn't seem a foregone conclusion, and brings actual peril to the table. 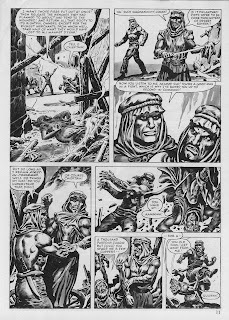 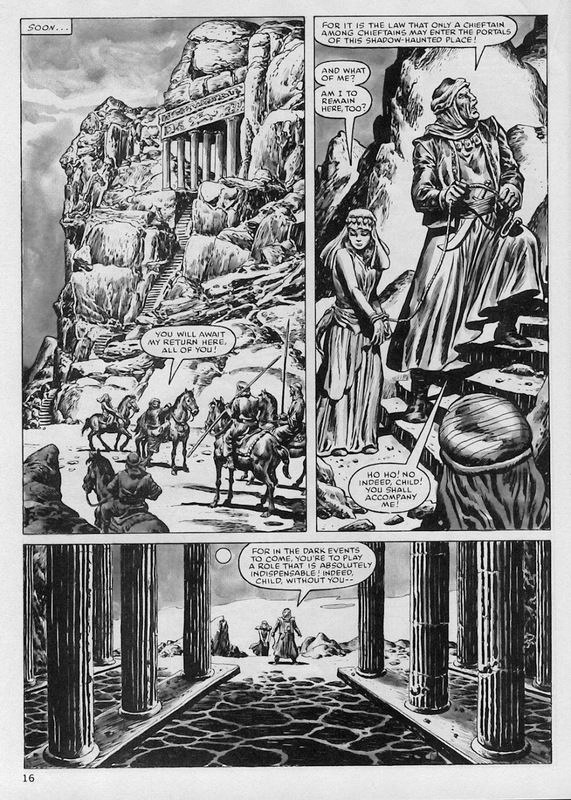 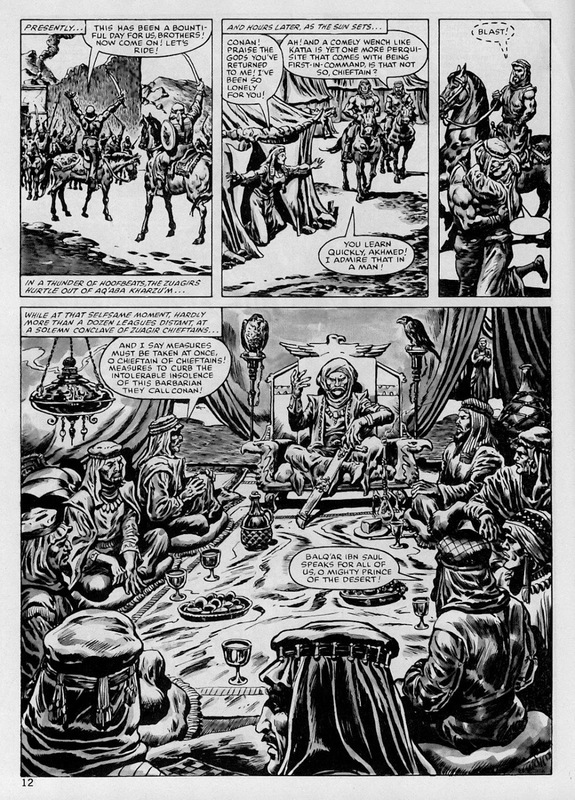 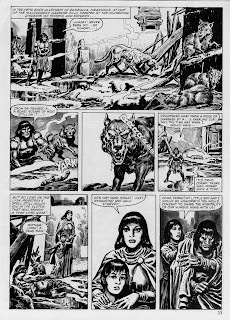 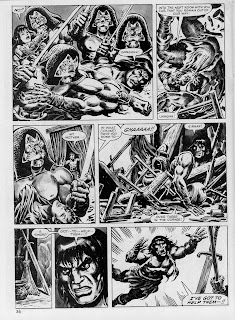 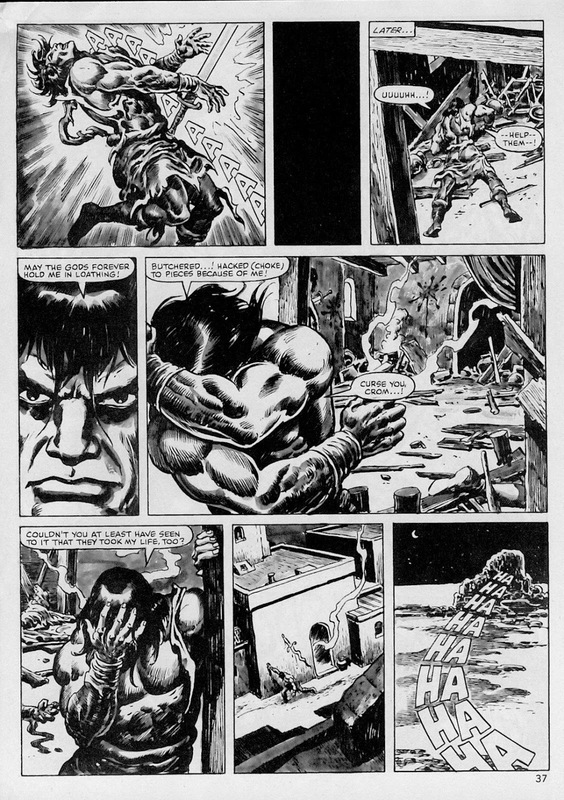 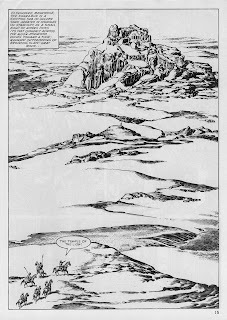 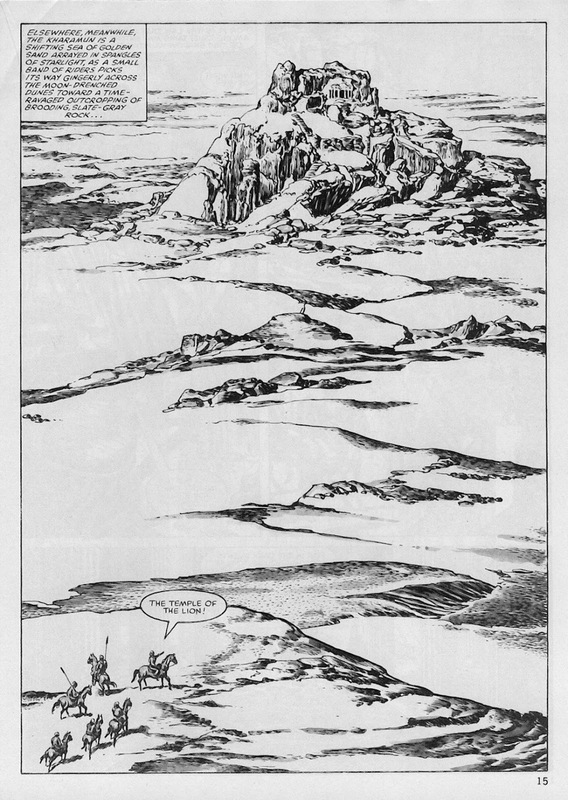 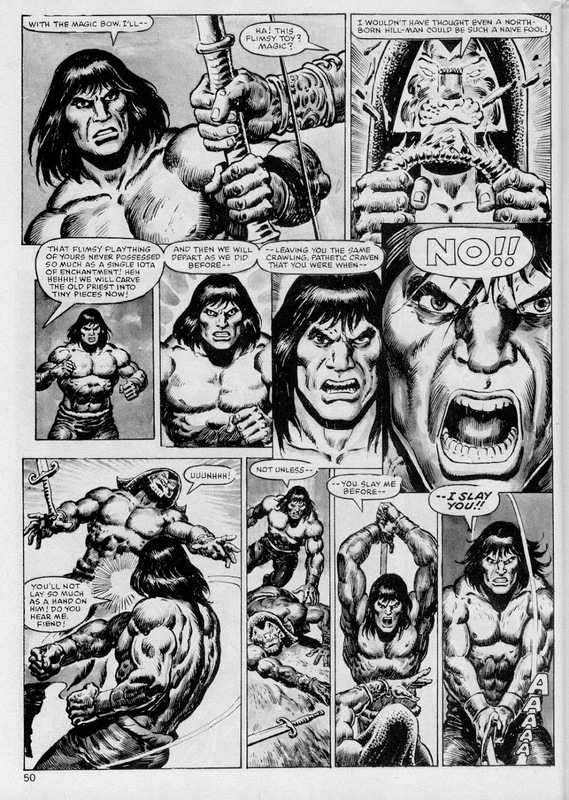 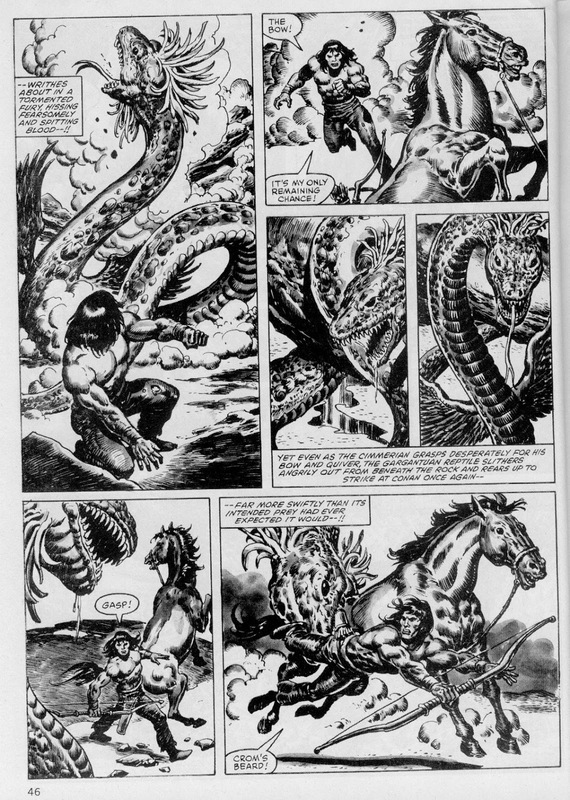 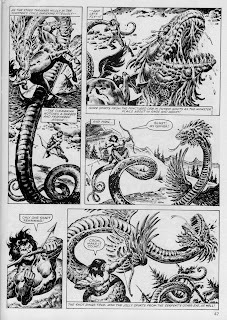 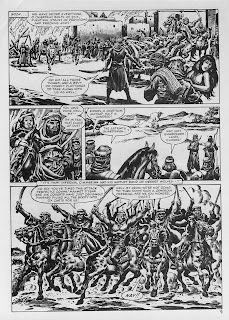 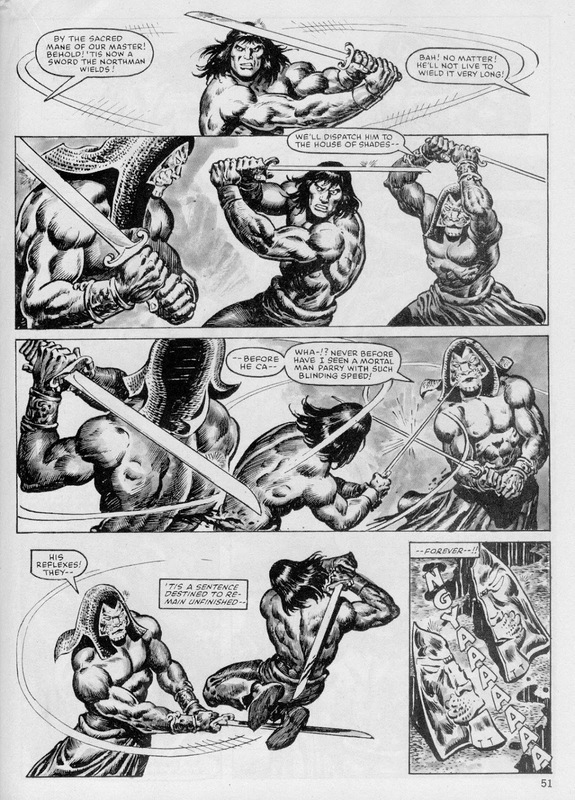 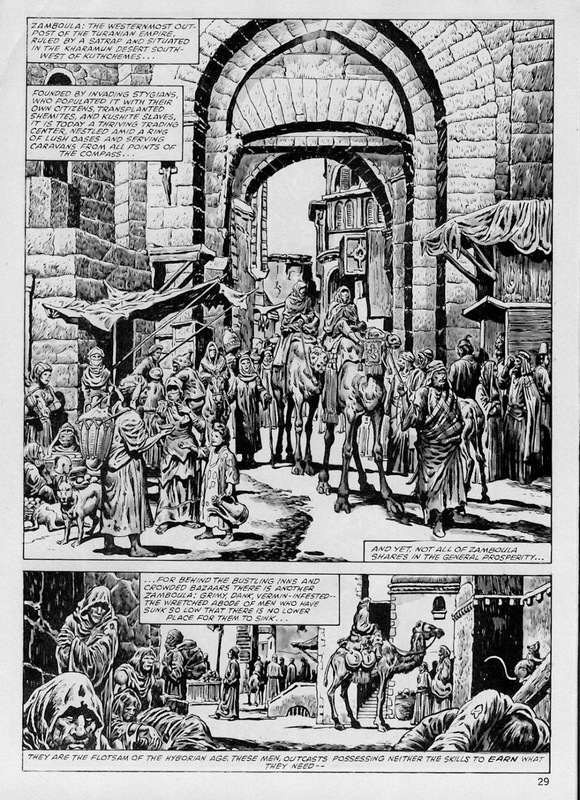 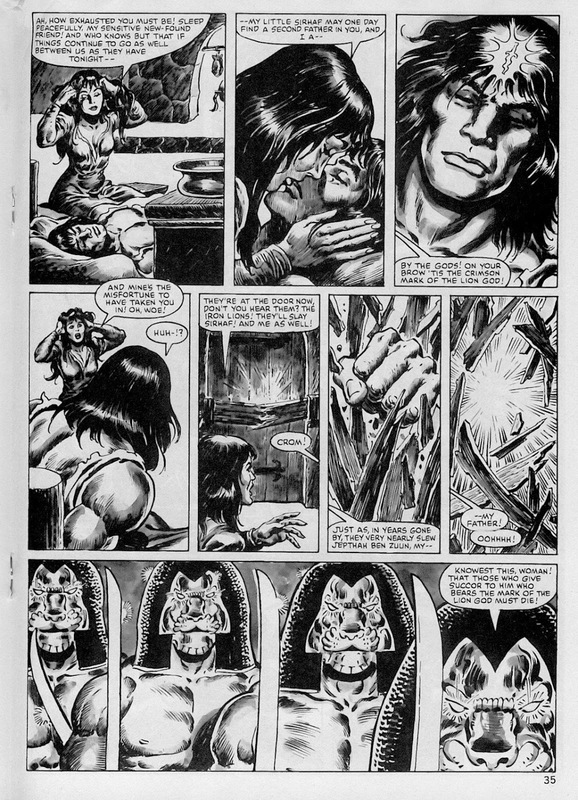 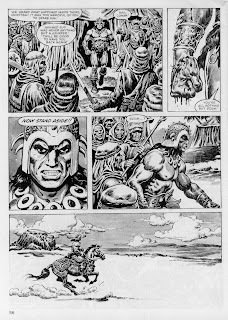 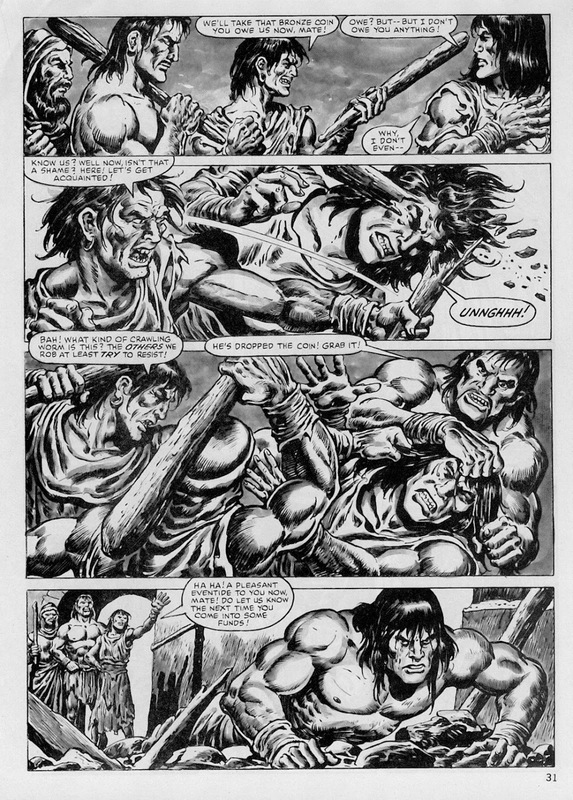 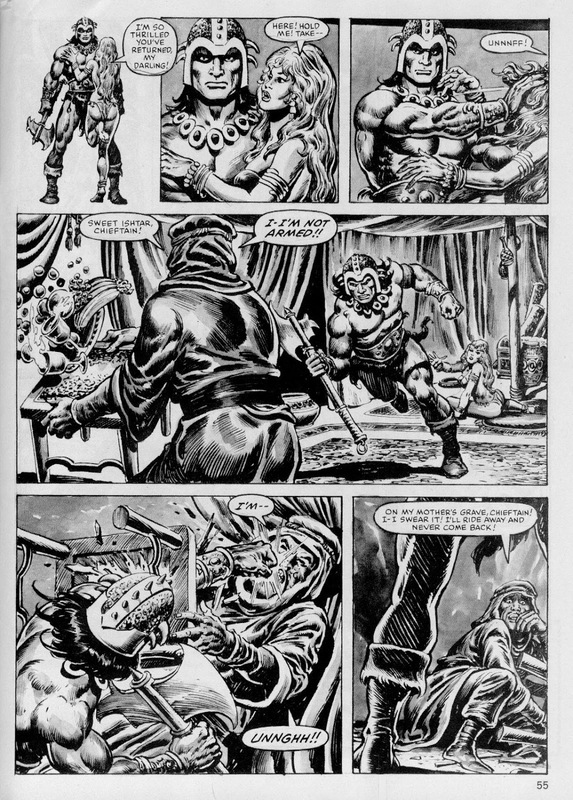 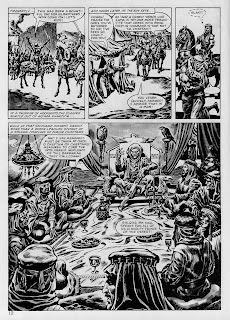 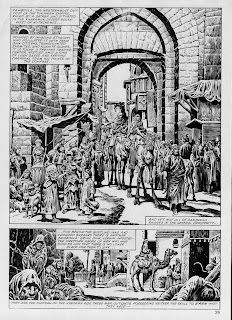 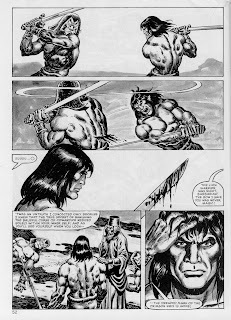 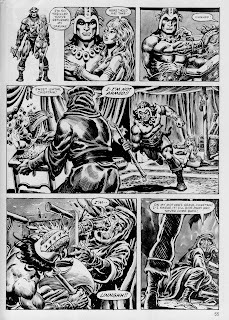 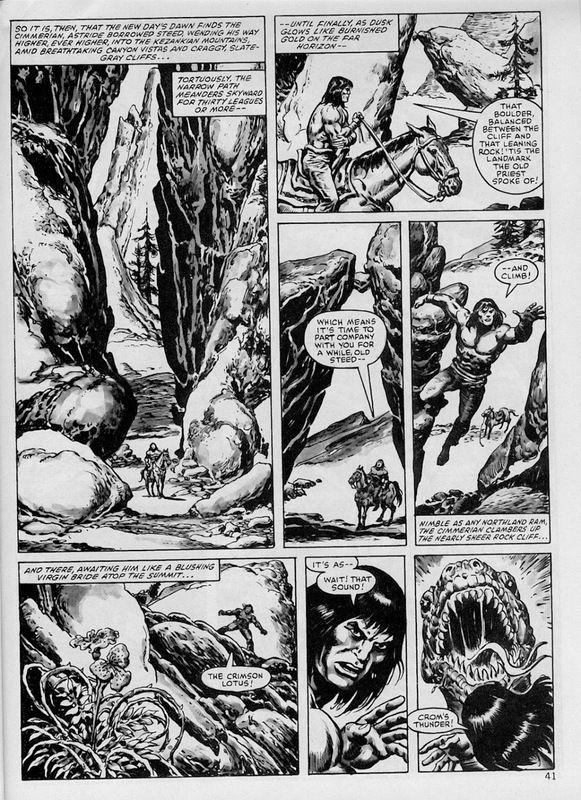 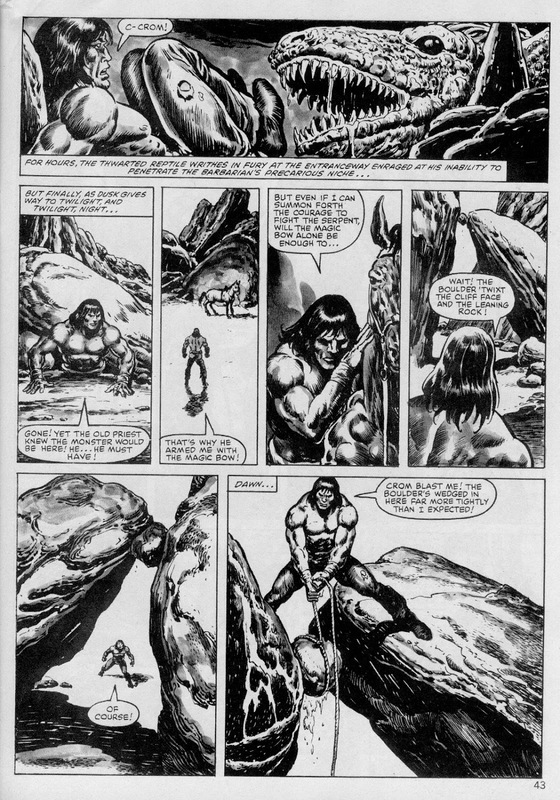 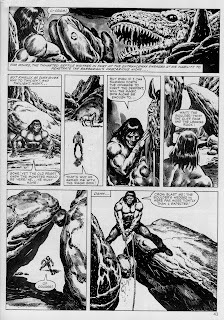 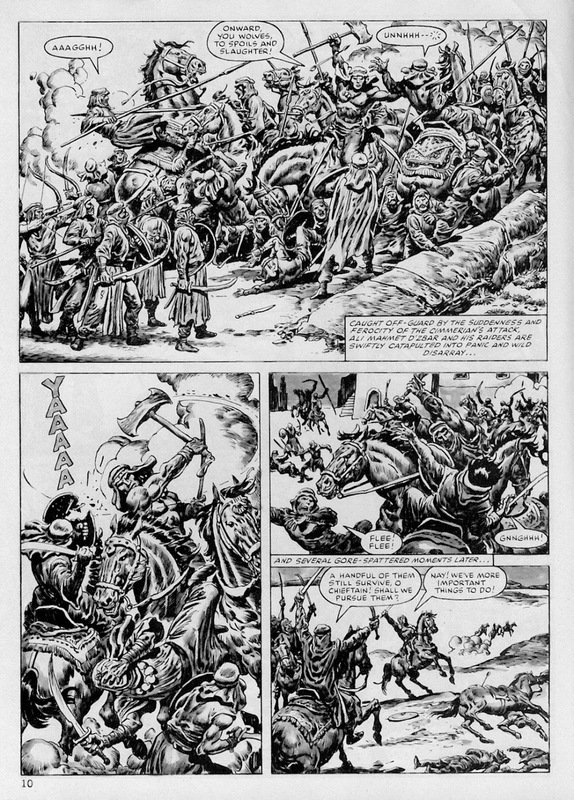 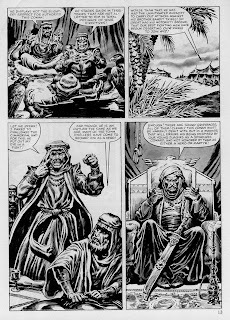 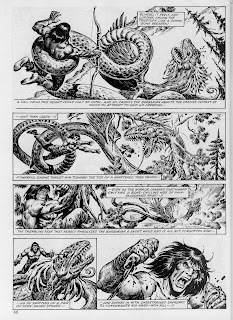 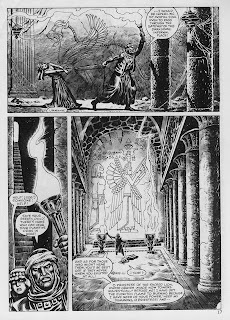 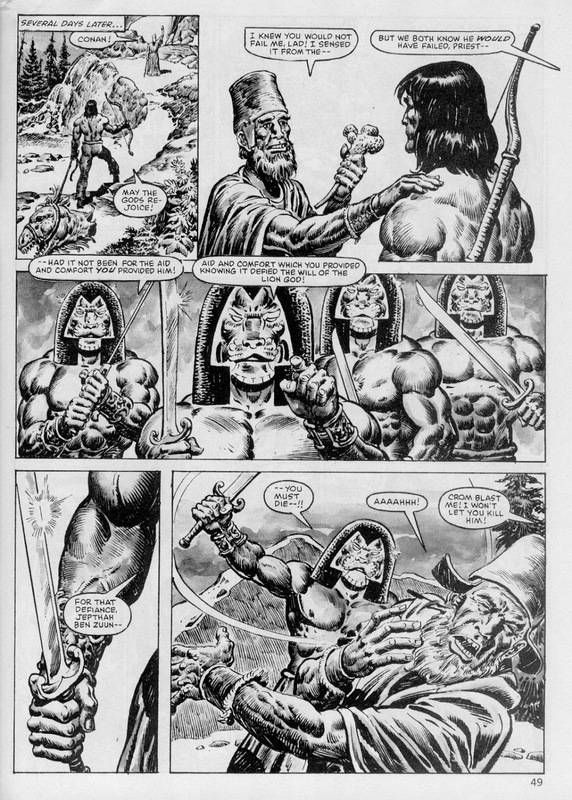 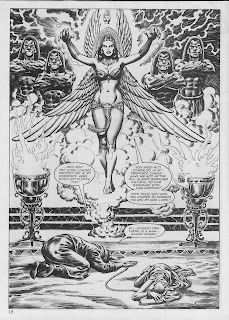 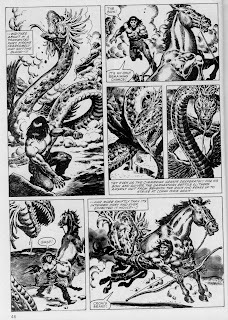 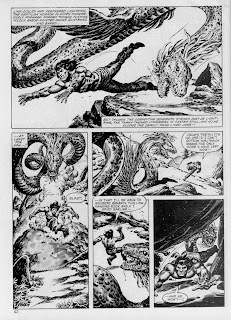 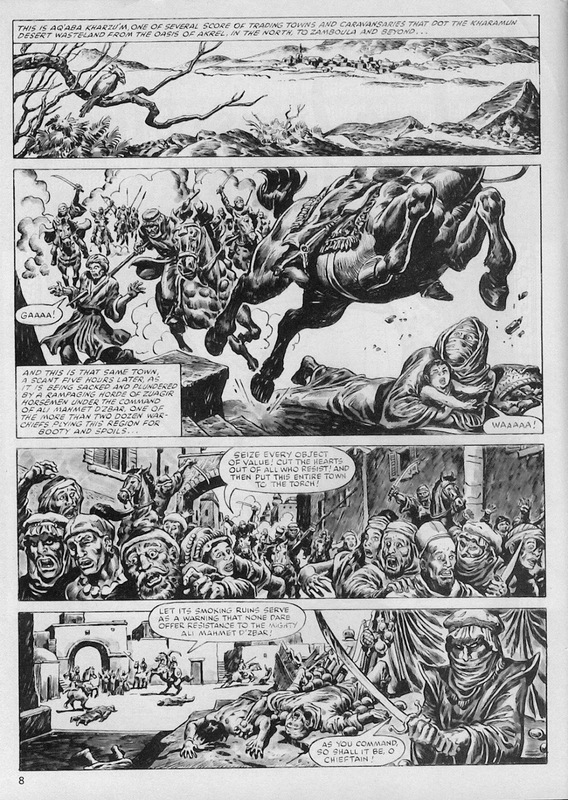 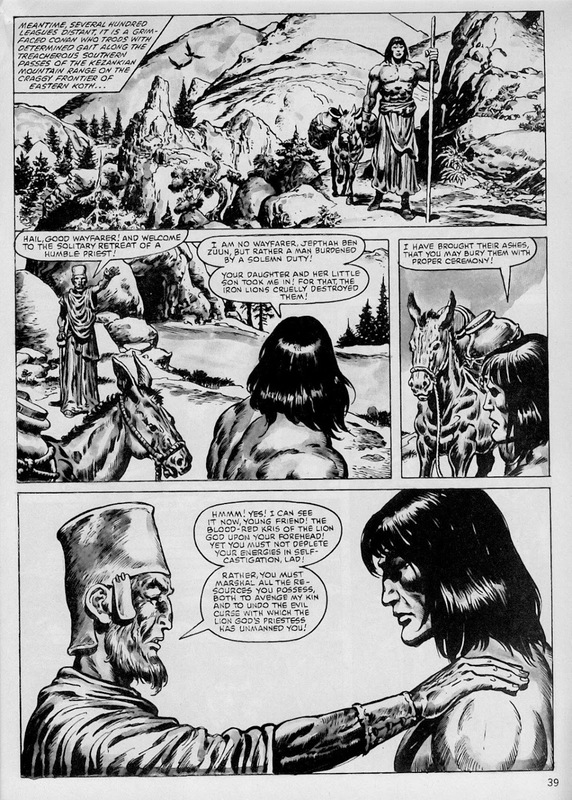 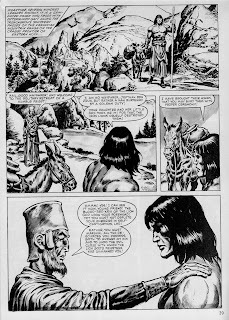 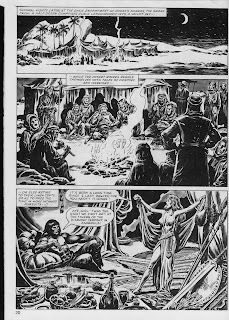 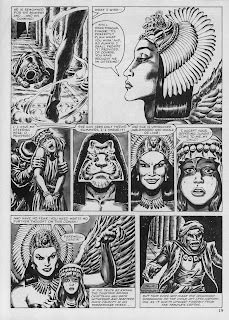 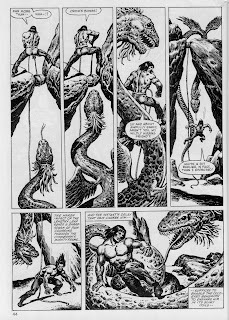 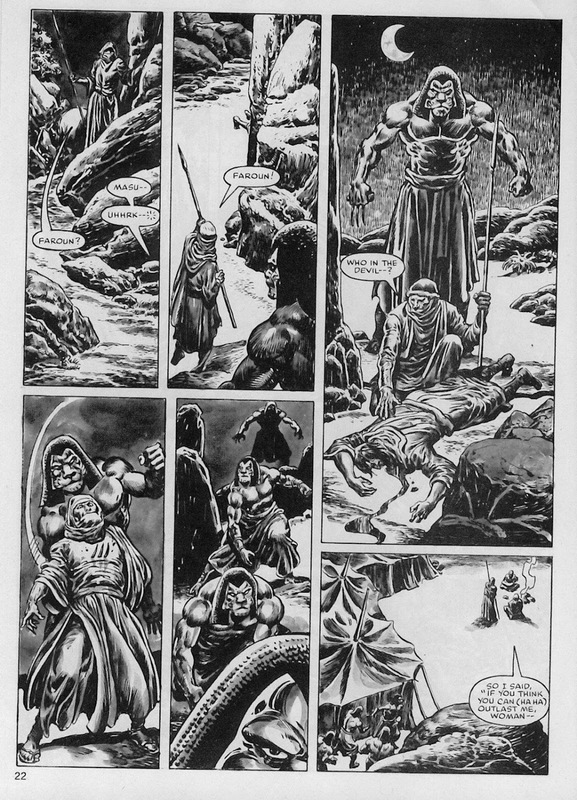 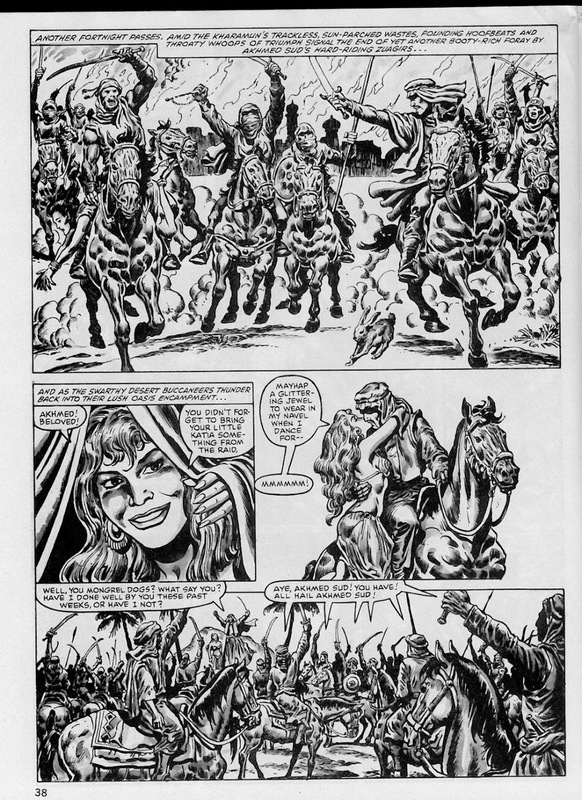 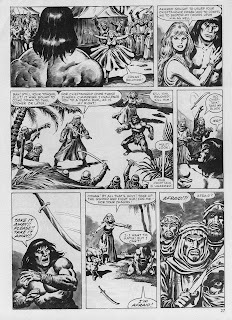 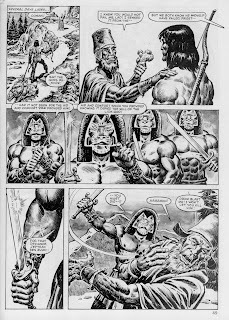 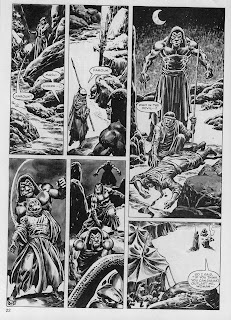 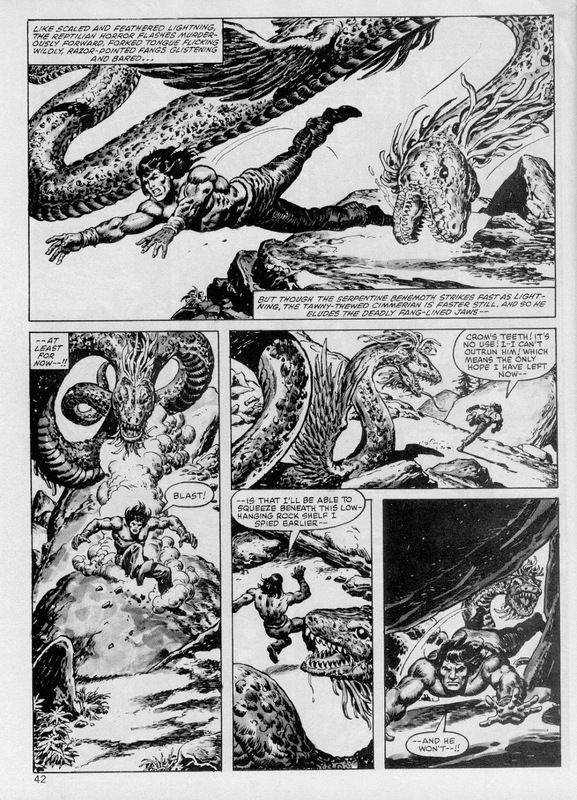 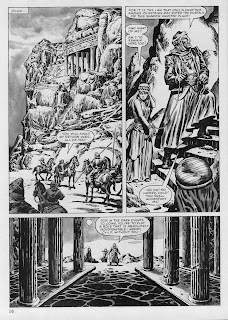 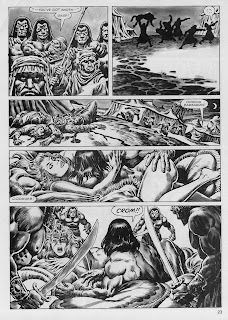 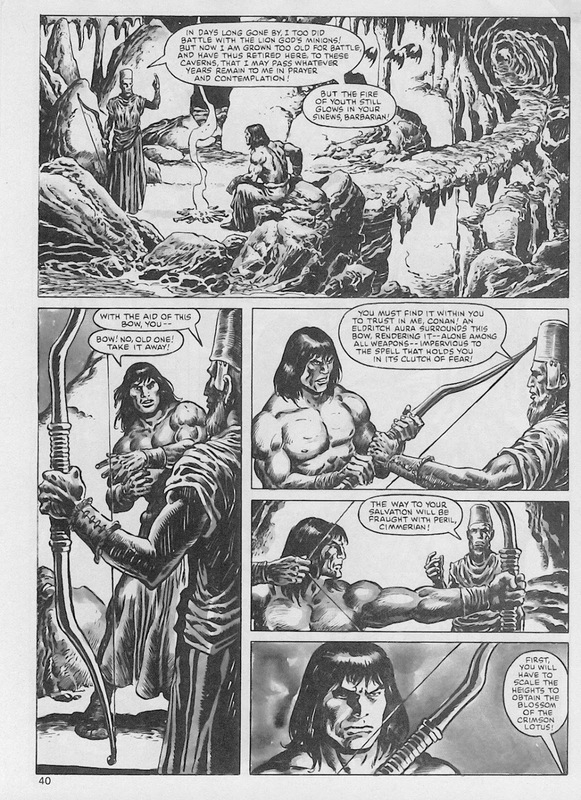 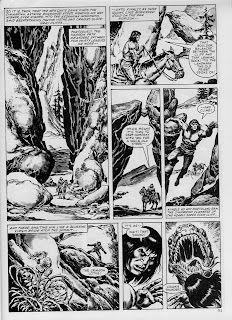 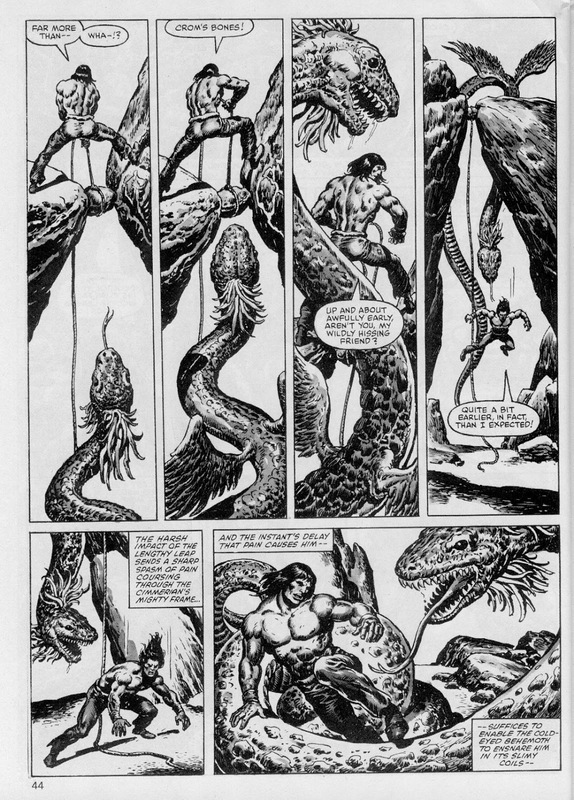 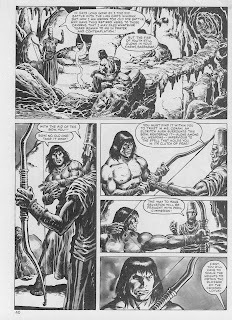 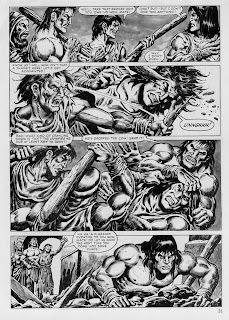 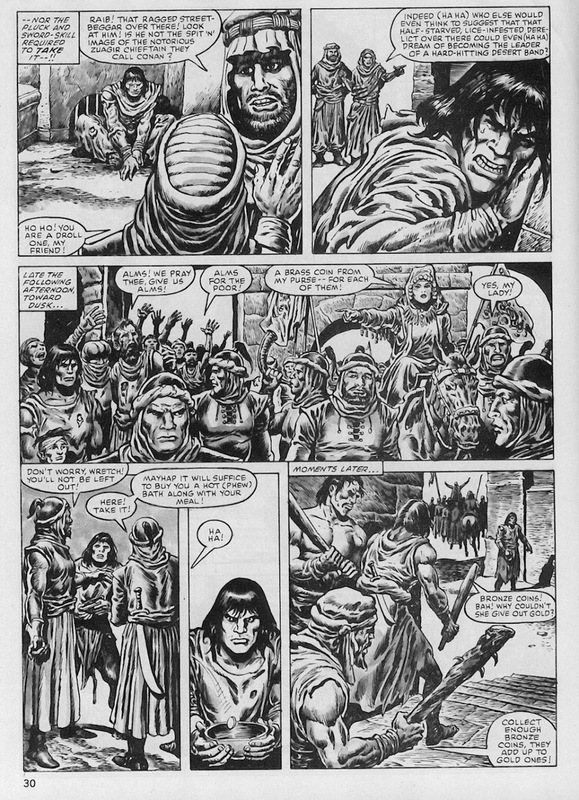 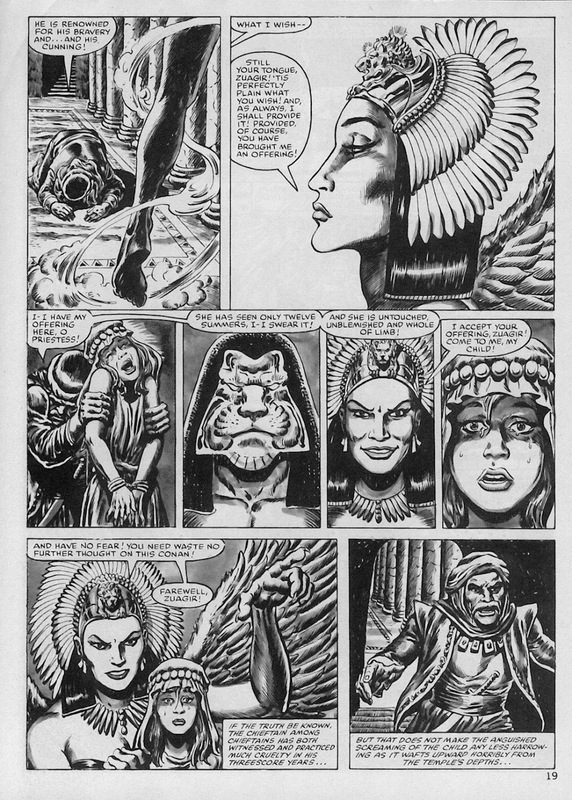 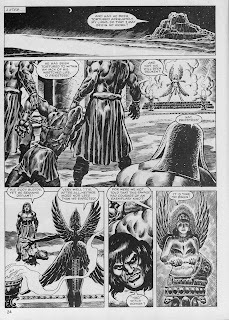 Then newcomer Gary Kwapisz is surrounded by old hand Ernie Chan, so you can feel like you're almost looking at John Buscema, and it just works. 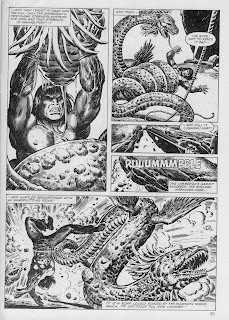 Sub-Mariner vs The Thing: In The Rage Of Battle!